Dab Garner of the Dab the AIDS Bear Project just posted some sobering news from the ADAP Waiting List report, which was made public on Friday the 13th. The number of people in the United States who are now on HIV drug waiting lists has reached 2,937... Scary stuff. 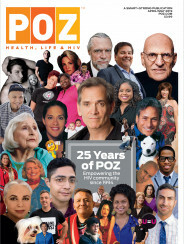 These “numbers” are flesh-and-blood people living with HIV who, for whatever reason, have fallen through the cracks of our complicated system and cannot afford HIV medications or do not qualify for other programs. It’s terrible to think that they could perish for the crime of being poor, or simply unlucky, when there are life-saving treatments available. If you live in any of the states mentioned above, it’s important that you contact your local representative and tell them that you support AIDS Drug Assistance programs. Times are indeed tight these days for a lot of us. But we need to make sure that preventable deaths from AIDS do not happen on our watch.